You can pay and register for classes online or in person, at the studio, before a class. Card payments can be taken at the studio. To book online, choose a class from the timetable and follow the instructions after ‘sign up & pay’. Or you can register for the whole term when you book from the link on the class info page. Can I book for just one class? Yes, you can! Choose the class you would like to attend on the timetable, click on “sign up & pay’ and choose single class. Most classes are 75 mins long, cost £12 (3 credits). Or you can just arrive a few minutes early for the class and pay at the studio. I am new to yoga, what do you suggest? We run Foundation Courses in the Autumn and Winter. These are 6 – 8 week courses that are ideal for the complete beginner. It is best to attend each week – missed classes cannot be refunded. If there is no Foundation Course available, Level 1 is the best place to start. We recommend buying a single class first, to try it. If you decide after the class that you want to come regularly, you can exchange your pass for a term or 10 class pass. Credits are how the booking system works – you need to have enough credits in your account to register for classes. Think of it as a currency – the more credits you buy at a time, the better the exchange rate! A credit is worth approx. 30 mins. of a class. So 60 minute classes cost 2 credits, (up to) 90 mins. classes cost 3 credits and (up to) 120 min. classes cost 4 credits. Credits can be spent however you like – once you have credits, you can book into any classes you choose, until the credits are used up. Please check the class descriptions before booking, to check the class is suitable for you. Do I need to sign up to your website? No, you can just pay and book for classes without signing up. However, if you plan to book regularly, or want to change your booking, you may find it easier to sign up and then you don’t have to type in your details each time. It’s up to you… If you sign up, you can check and change your bookings at any time and see how many credits you have left. You can also use the Tula app for iPhones and iPad for really quick booking. What do all the passes mean? Yoga works best when practiced regularly, so we reward commitment and make credits cheaper if you buy more at once. The cheapest way to attend classes is to buy the Monthly Unlimited pass. A regular monthly payment from your card of £65 allows you to come to as many classes as you like. You can also pay monthly for 5 classes per month (approx. one class per week) which costs £40 / £45. If you come to the same class every week, you can buy a term pass at the start of the term. This expires at the end of term and unused credits cannot be carried over. If you come often but not every week, the 10 class pass is more flexible and lasts 120 days (approx. 4 months). What is the cheapest way to pay for classes? The Unlimited class pass for just £65 per month. If you attend 3 classes per week (12 per month) they cost just £5.42 each. What if I just want to come once a week? The term pass is our most popular pass. Available for a few weeks at the start of a new term, you buy one class per week for the duration of the term. The terms vary in length (they relate to Edinburgh school term dates). These are very good value – 3 credit classes cost just £8 each with this pass ( 2 credit classes cost £6.50 and 4 credit classes cost £10 each). You do not have to use this pass at the same class each week. You are free to use your credits at any classes you choose. You can register and deregister on the timetable to change your booking – so you can make up missed classes or just vary your attendance. If I buy a term pass, do I need to register for every class of the term? It depends on how you bought your pass. If you buy it using the booking link on the class info page, you can choose to be automatically registered for every class of the term. Of course, you can still deregister on the timetable and change your booking if it turns out you cannot attend a class you are booked into. If you buy your pass from the link on the timetable, you are automatically registered for the one date you selected on the timetable. It is then up to you to register for more classes. I’m not sure I can come every week. Can I still get cheaper classes? 30 credits (for 10 x 3 credit classes) and 40 credits (for 10 x 4 credit classes). Of course, once you have bought your pass, you can spend your credits on whichever classes you like! I have credits. How do I book a place in a class? Open the timetable, click on the class you want to book for and if you have enough credits, you can register for the class. You are then on the class list for that individual class and a place is held for you. If you cannot attend a class you have registered for, you need to cancel the registration at least 6 hours before the class, or you will loose the credits. You can ‘deregister’ on the website, on your account page, or using the Tula app on an iPhone or iPad. No problem. 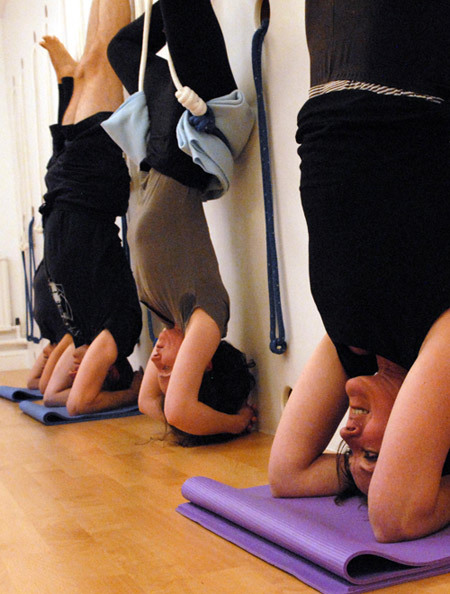 You can email lucy@yoganowstudio.co.uk with your query or ask us in person at the studio. Please note that we have no receptionist, so the teacher is available to help for 15 minutes before the start of the class.